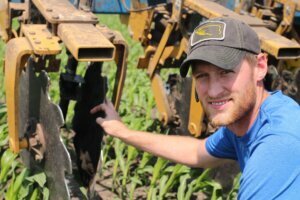 Northfield farmer Sam Peterson joined the Minnesota Corn Innovation Grant Program in 2017 to research the economic benefit of variable-rate nitrogen (VRN) programs. While Peterson and his dad, Bruce, had started embracing these programs, it was difficult to determine the return on their investment. Leading researchers return to MN Ag EXPO this week to showcase their projects bringing new levels of innovation to modern farm practices and expanding markets for corn. Attendees will be able to speak with researchers leading each corn checkoff-funded project at the Research Center, located on the second floor of the Verizon Center. On Wednesday, the University of Minnesota’s Center for Sustainable Polymers (CSP) will be in attendance to share exciting research that could bring corn to previously unthinkable markets. The 2018 Research Directory is available now for farmers interested in an overview of research projects jointly funded by the Minnesota Corn Growers Association (MCGA) and the Minnesota Corn Research & Promotion Council (MCR&PC) through the Minnesota corn check-off. 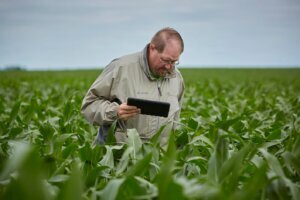 The 2018 directory features the latest on research focused on agronomy and plant genetics, corn utilization, fuels and emissions, livestock, soil fertility, water quality, and projects through the Minnesota Corn Innovation Grant Program. 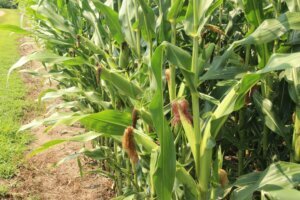 Minnesota corn farmers once again have the opportunity to put their innovative conservation ideas into action through the Minnesota Corn Innovation Grant Program. The RFP for the program officially opened today, with proposals being accepted until Dec. 31. In its fourth year, the Innovation Grant Program is accepting proposals focused on innovation solutions to preventing both nitrogen and phosphorous loss to ground and surface water. Each accepted proposal will feature novel practices related to improved nitrogen and/or phosphorous management on a field scale program. 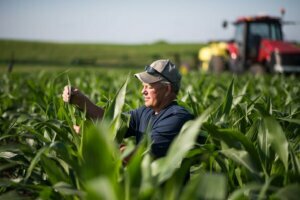 The 2018 Innovation Grant Program is underway, with 12 farmers receiving grants from Minnesota corn to lead projects focused on nitrogen management. Throughout the summer we will be highlighting ongoing projects focused on how to better manage nitrogen and protect water quality. To learn more about each completed and ongoing project, click here. 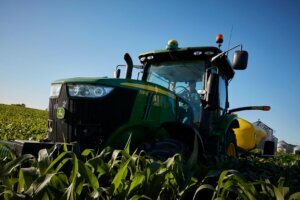 Today’s farmers are focused on nitrogen use efficiency to both limit expenses on the farm and prevent the loss of nitrogen to ground and surface water. For Minnesotans removed from agriculture, the sprawling fields and traditional red barn visible from the interstate may be their idea of modern farming. 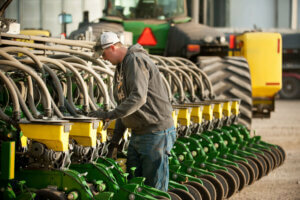 The reality is today’s farmers are bringing previously unthinkable levels of innovation to their craft. Minnesota’s corn farmers are on the forefront of agricultural evolution. Through their investment in the corn check-off, the state’s corn growers devote more than $4 million annually in research that shapes the future of agriculture and the way we use agricultural products. 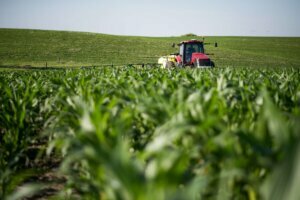 The Minnesota Corn Growers Association (MCGA) launched the third year of the Innovation Grant Program, investing in 12 farmer-led research projects focused on preventing nitrogen loss. Each accepted proposal focuses on innovative solutions to prevent the loss of nitrogen to ground and surface water, keeping the nutrient in the soil. 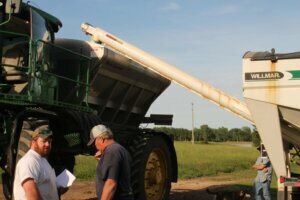 Working with the Minnesota Corn Research & Promotion Council, MCGA announced the Innovation Grant Program in 2016 as part of its goal to make Minnesota corn farmers the most sustainable and environmentally responsible in the United States. Groundwater Protection Rule: What’s next? 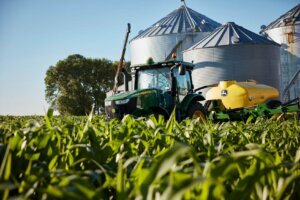 The Minnesota Department of Agriculture (MDA) released the proposed Groundwater Protection Rule – previously referred to as the Nitrogen Fertilizer Rule – on April 24, 2018. The Groundwater Protection Rule was formally published in the Minnesota State Register on April 30th, followed by an 80-day comment period. The proposed Groundwater Protection Rule, the statement of need and reasonableness, appendixes for the statement of need and reasonableness and the notice of public hearings are listed on the MDA website here.